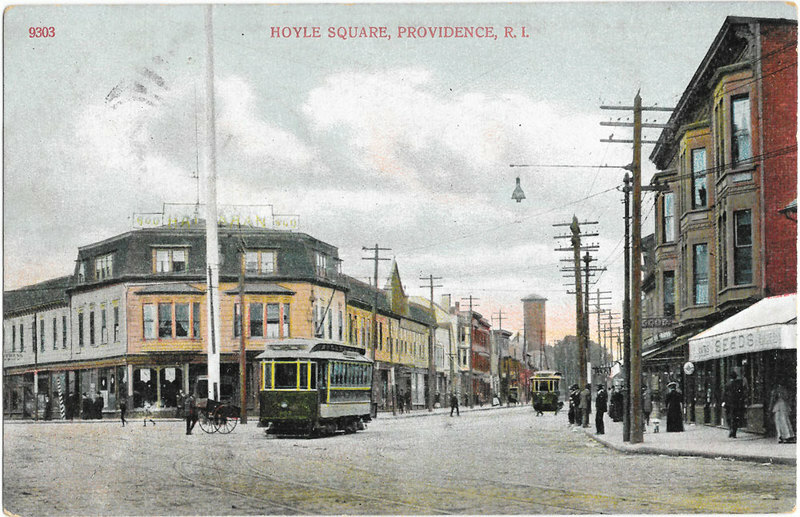 Canonicus was the Narragansett sachem who offered refuge to Roger Williams and his party in 1636, but before this place was named that in a fit of Colonial Revival fervor, it was popularly called Hoyle Square. In 1953, Rhody Photo News said the district was “our 20th century version of the Streets of Bagdad,” where you could find “a derelict headed for a mission soup kitchen brushing up against a well-to-do housewife on a bargain hunt.” Cranston and Westminster were both busy highways in the early 18th century, providing access to western towns and Connecticut. Rochambeau marched his armies down Cranston Street in June 1781 to meet Washington and defeat Cornwallis at Yorktown. Back then, those soldiers marched past the Hoyle Tavern, where the Citizens Bank stands now. The tavern, built in 1739, became a focal point for gatherings and entertainment as the city grew. The tavern was demolished in the late 19th century and the bank constructed in 1921. Redevelopment projects of the 1960s have drastically altered the life of the square. The north side of Westminster suggests the busy commercial area that once thrived here. 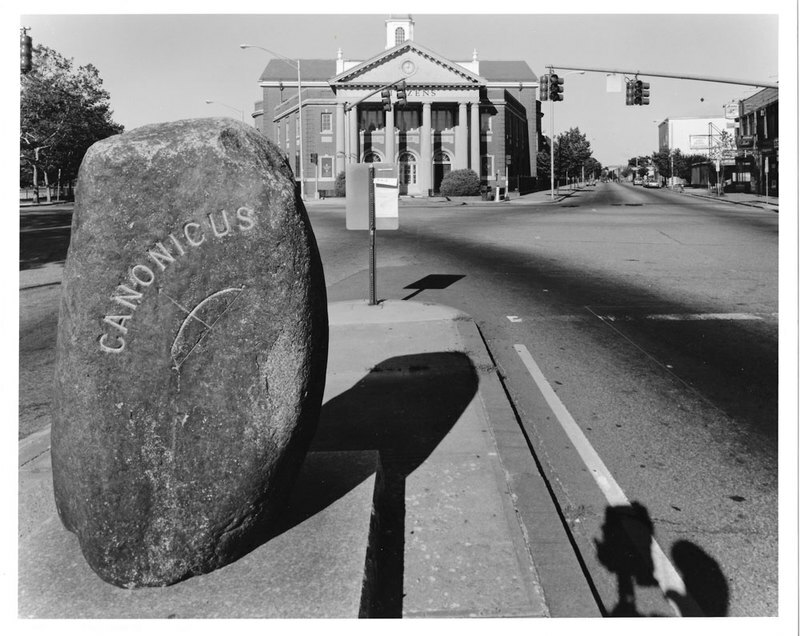 Canonicus Memorial: This photo shows the Citizen's Bank and the Canonicus memorial in the early 1990s. The rock has since been removed. 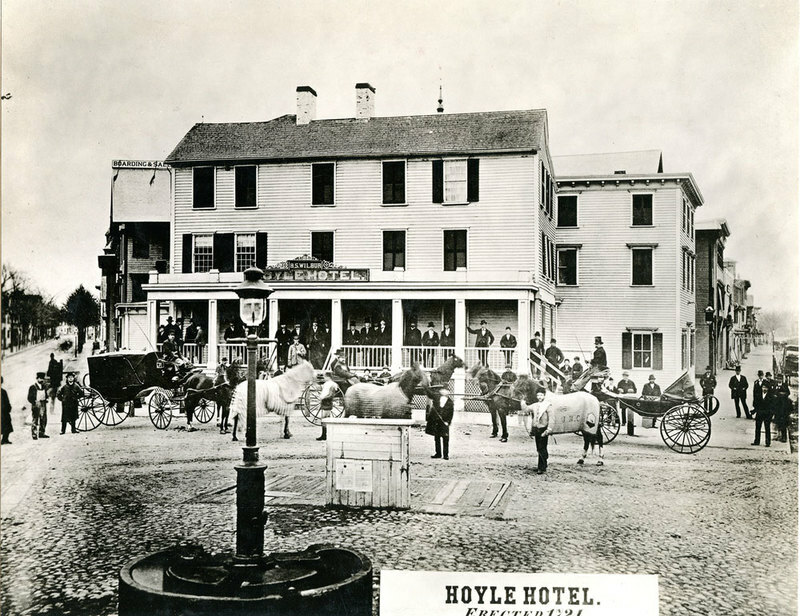 Hoyle Tavern: This is a 19th century image of Hoyle Tavern, which stood at the site of today's Citizen's Bank for 150 years. ~ Source: Rhode Island Collection, Providence Public Library. 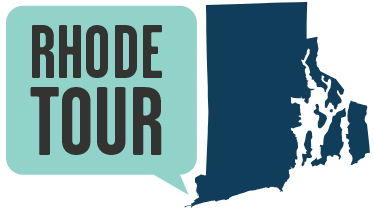 Taylor M. Polites, “Canonicus Square,” Rhode Tour, accessed April 21, 2019, http://rhodetour.org/items/show/175.